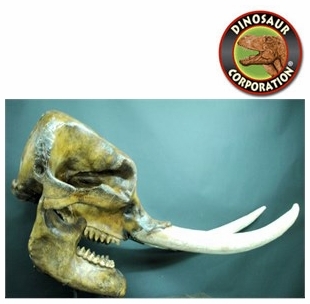 Mastodon Skull with Tusks. Fossil replica. Mastodons are species of extinct proboscideans in the genus Mammut, distantly related to elephants, that inhabited North and Central America during the late Miocene or late Pliocene up to their extinction at the end of the Pleistocene 10,000 to 11,000 years ago.